For thousands of years, humans have thrived without “baby food” (which was invented in the late nineteenth century). Think about it: the human race has made it this far largely on whole food. Only in recent decades have we begun overthinking and over-processing our foods, which has led to chronic dieting, chronic disease, disordered eating, body distrust, and epidemic confusion about the best way to feed ourselves and families. Eating is an innate skill that has been overcomplicated by marketing schemes and a dieting culture. It’s time to leave the dieting culture behind for the whole family. It starts with the baby’s first bite! 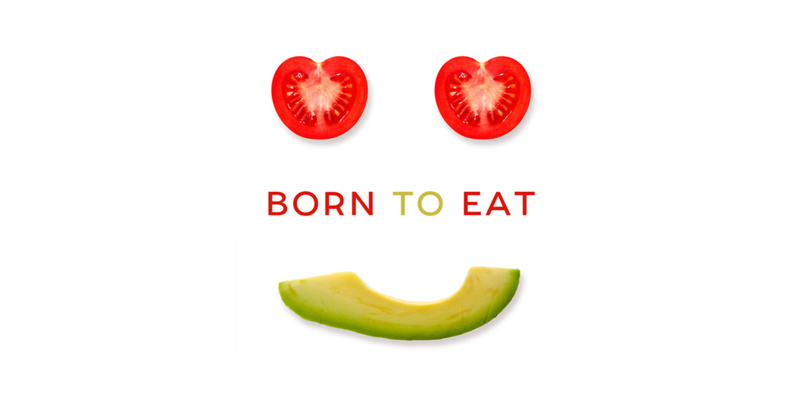 We are all Born to Eat and it seems only natural for us to start at the beginning–with our babies. When babies show signs of readiness for solid foods, they can eat almost everything the family eats and become healthy, happy eaters in the process. By honoring self-regulation (also an innate skill) and focusing on a whole food foundation, we can foster healthier children, parents, and families. You don’t have to cook another entire meal to feed just baby, nor blend everything you eat into a puree to support healthy growth in an infant. With a little patience, presence, and skill, you can transform nearly any family meal into a baby-friendly food. Who knew a little planning could have the whole family eating together, and better? Aside from the United States, most countries are accepting of babies starting solids with the foods of the family. With a focus on self-feeding and a baby-led weaning approach, nutritionists and wellness experts Wendy Jo Peterson and Leslie Schilling provide age-based advice, step-by-step instructions, help for parents, and easy recipes so you can ensure that your infant is introduced to healthy and tasty food as early as possible.